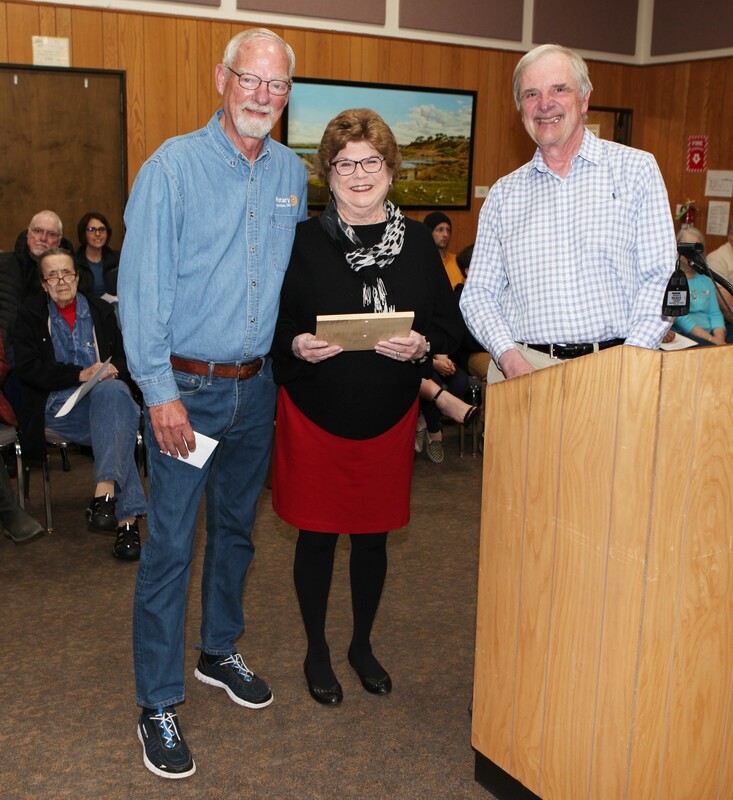 Art and Mary Carol Roberson were recognized by the Greater Bandon Association as Bandon’s Volunteers of the Month at the April 1st meeting of Bandon’s City Council. GBA presents this award to one the many outstanding individuals that contribute to making Bandon a better community to live in. Art and Mary Carol were presented the award in form of a plaque and a gift certificate from Edgewaters. Art and Mary Carol spearheaded Bandon’s community-wide effort for the Kids Hope Center on Child Abuse Prevention, organizing and leading child abuse prevention training for the community. The program raised over $9,000 for the Kids Hope Center. They also spearheaded the Bandon Rotary Club’s Golf for Veterans tournament held on 9/11 that this year brought in over $6000 for Coos County veterans. When the Cranberry Court and Coronation was in danger of being dropped for this past year’s Cranberry Festival, they stepped up and ran it. While they have only lived here four years, they have already made quite an impact in our community. The Greater Bandon Association will be honoring one of Bandon’s many volunteers that are making a difference in the community each month. Nominations for the May award should be e-mailed to harv@greaterbandon.org or mailed to P.O. Box 161 by close of business on April 26th.